We all look at it as we wake up, and again as we leave our homes in the morning, throughout the day and before we go to sleep; our eyes have evolved to sense it acutely and green plants harness its energy, mostly in the blue and red regions of the spectrum, which is why they appear green: it is the light that makes life on earth possible. Yet as a subject for art it is relatively ignored. The Californian sculptor James Turrell uses it as a primary art material, building 'Sky spaces' - enclosures open to the sky to present light as solid colour. The German Romantic Landscape painter Caspar David Friedrich (1774 - 1840) notably captured the sublime qualities of the sun at dawn and dusk and of the moon at night. 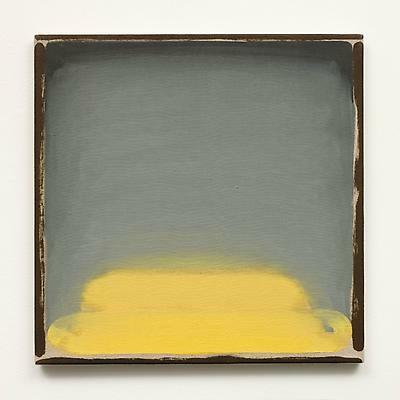 Along with these artists, and relatively few others, stands the work of Northern Irish - Born painter William McKeown, who until his death last year painted the sky of his adopted city of Edinburgh and his native County Tyrone. McKeown was a great admirer of Inverleith House where this spring, a collection of his most recent paintings will be exhibited for the first time. We are deeply grateful to the artist's estate and to the Kerlin Gallery, Dublin for their support in making this exhibition possible.